Here is how to become a Certified Crane Operator Nationwide. Becoming a certified crane operator allows you to utilize and maneuver cranes to move large heavy material when building or in construction sites. Cranes are used for construction roads, buildings, and bridges, but may also be used at fabricating plants, docks, and transportation centers. Certified crane operators work under constantly changing conditions, in challenging surroundings. A lot of crane operators gain their first training and experience when seeking to further occupation in the workplace to move up to a mobile crane operator or other types of crane. Crane operators, however, may have to complete a crane operator training program to obtain a certificate, according to the U.S. Bureau of Labor Statistics. 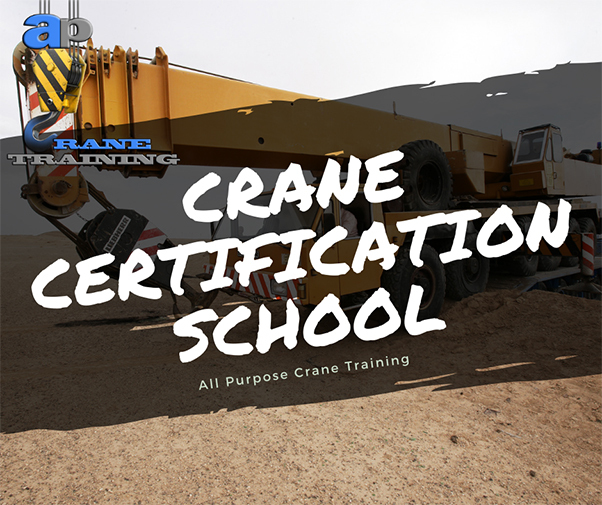 These programs are all available through AP Crane Training schools located Nationwide or visit our crane class schedules and dates where students can often complete training programs certification and re-certification. Complete crane training programs cover various topics, from safety regulations to machine maintenance. Crane course topics might also include rigging and wire rope, maintenance and inspections, crane types, weight reduction angle, signifying, and checking limit switches. Upon completion of training, candidates should be prepared to accept certification along with documents. A crane operator apprenticeship is a great way to learn a profession and to earn an income at exactly the same time. The program is designed to give someone who understands nothing or little that the knowledge to become a crane operator. Crane license requirements differ from lift capacity however, they frequently mandate that applicants pass written and practical skills assessments to show knowledge and competency of safe crane operation. AP Crane Training school provides an accredited crane certification that meets OSHA standards and regulations. Along with proof of evaluation and documentation from the final crane rule. Search no further you will obtain a crane operator certificate that broadens opportunities for you or individuals working in regulation. Crane opportunities open up to employing workers in construction, warehousing, and manufacturing industries. Contact us today by giving us a call at (888) 501-1355 and let us help guide you swiftly with your needs in the crane industry.